At least 750,000 children a year witness domestic violence in the UK. They are not passive 'witnesses' they are affected by what they see and feel. Many children themselves will suffer physical or sexual abuse from the same perpetrator. These experiences impact on their development, self-esteem and on future relationships. 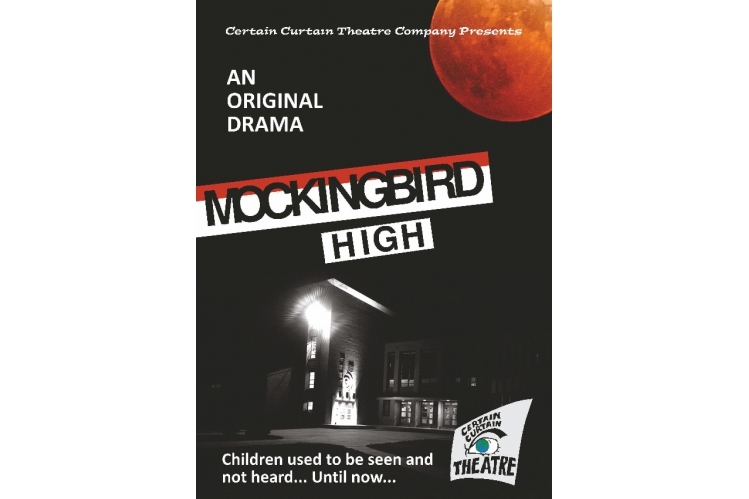 MOCKINGBIRD HIGH - is a compelling lyrical exploration of Domestic Violence and its impact on two teenage children and their mother. Exploring the different effects from conception to teenage years, on girls and boys, the 'cycle of abuse,' sexual bullying and abuse, child protection issues, victim-blaming and patterns of abusive behaviour. Each performance is followed by an after-show discussion/workshop with the writers and actors to enable audiences to interact with the issues and explore the drama and issues further as well as access to local support agencies.